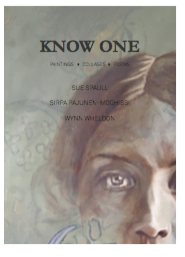 KNOW ONE is an exhibition of images and words, an exercise in imaginary reconstruction. Three artists – two painters and a poet – have picked one name from a memorial or gravestone from each of London’s ‘magnificent seven’ Victorian cemeteries: Kensal Green, West Norwood, Highgate, Abney Park, Nunhead, Brompton and Tower Hamlets. With a little research each character has been reimagined and in some sense reinvented. This is not an attempt at resurrection, but rather a way of bending memory to the present. To walk through a cemetery is to walk through a community of unknown, but completed, and now largely forgotten lives. Know One asks us to do a little remembering, even if that requires fictional accounts of lost lives. Memories, even our own, perhaps especially our own, are often false. We create narratives of our lives that seen from an objective viewpoint might be unrecognizable. Our subjects, our no-ones, stand for all those forgotten lives, our own (as they will be in due course) included. 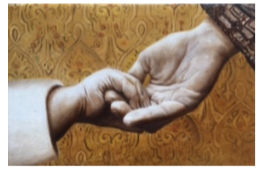 Sue Spaull’s paintings owe a lot to the Old Masters, adopting some time-honoured techniques which she uses to her own ends. Her paintings create a narrative, through her use of composition, paint application and setting. Her play with classical techniques, where images emerge and disappear as the underlying grisaille is at times exposed, at times overlayed with glazes and paint, contributes to the sense that she is capturing forgotten memories through her series of Know One paintings as she re-imagines aspects of lives once lived. Sirpa Pajunen-Moghissi uses a variety of materials to rebuild the stories of these chosen names. She tries to untangle the lost memories and create images that are loosly based on facts; she borrows both from her own family history and some from the research that is done of each subject. 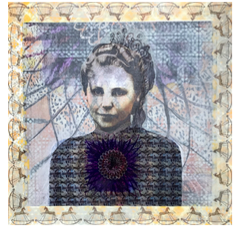 Her art works are created through multiple layers and by a process of deconstruction and rearrangement.